The Community Coffee company is at home in New Orleans in the state of Louisiana. Founded more than ninety years ago in the town of Baton Rouge, this company has grown into one on the largest coffee importers and providers in the state. 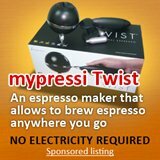 You can obtain a wide range of coffee products from them. 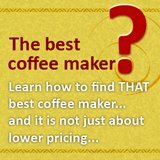 You can get your coffee wholesale or even whole coffee beans. Here you can choose between green bean coffee and roasted bean coffee. However, as far as their coffee products go, the distinguishing feature of the Community Coffee range of coffees is not necessarily their range flavored coffee products but rather the fact that the coffee used is only the finest Arabica coffee. In fact, this company makes a point of selecting their coffee from the best Arabica coffee on offer. Arabica coffee is known for its mild and smooth taste. Often coffee houses will blend Arabica and Robusta coffee in order to give their coffees additional flavor and caffeine. Community Coffee has consciously decided to use only pure Arabica coffee beans as their raw material. 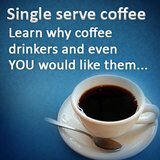 If they do “dilute” their coffee then it is with chicory. The story goes that during the American Civil war when coffee was in short supply, the coffee was “stretched” through the addition of chicory. Chicory is a herb and its root has been roasted and ground and used as a coffee substitute. The blend of coffee and chicory is now part of the coffee tradition of New Orleans and therefore must be part of the product inventory of a company based in that city. 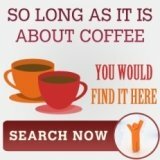 This company also has tea products on offer but are primarily the purveyors of coffee and coffee related products. Within the last five years, they have also launched the Community Coffee House. This is a coffee shop that has grown in popularity because it serves only the finest of the Company products. From one location in New Orleans in 1995, this coffee shop has expanded to more than thirty locations across the state of Louisiana. The atmosphere and the quality of the service has quickly made them a firm favorite amongst its regular patrons. Ultimately, ambiance will count for naught if the coffee isn’t good. Given the uncompromising stance the company has on the quality of its coffee, it’s not hard to understand why they have become as popular as it has.